Bulk Barn Offers valid from May 11 until May 24, 2017. Sultana Raisins 2.49 /lb, Honey Pitted Dates 5.39 /lb, Molding wafers 5.76 /lb, Dried Apple Rings 6.99 /lb, Blanched Virginia Peanuts 2.99 /lb, Honey Roasted Sriracha Cashews 15.79 /lb. 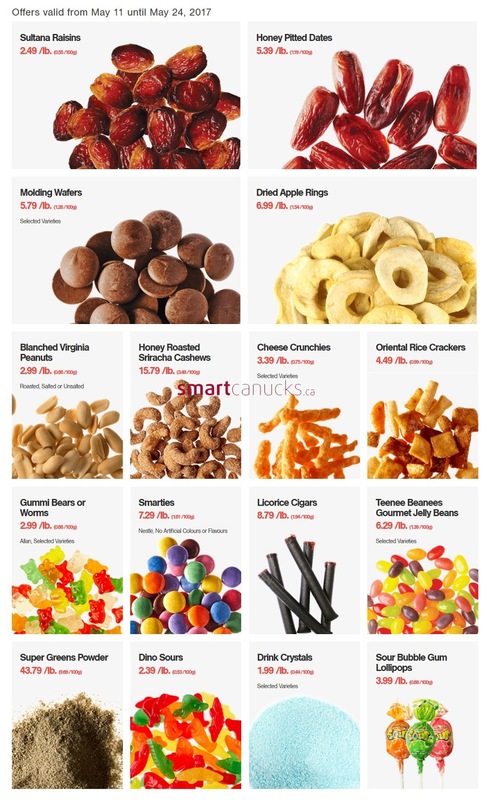 Bulk Barn Flyer, Just a simple click on the image bellow for details Bulk Barn Flyer May 11 to 24, 2017. Bulk Barn Canada Flyer May 11 to 24, 2017. 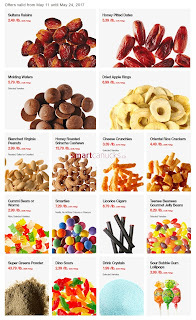 Subscribe this category for more of Bulk Barn Flyer products and deals.